My husband and I ordered a nonslip grit additive called Clear Grip from Home Depot. You mix it with the polyurethane and it goes on completely clear but actually helps the slickness! Even though the wood is beautiful, the full runner is by far the safest. Imagine your pain if Grandma Jeanne was carrying one of your nephews and fell down the stairs. 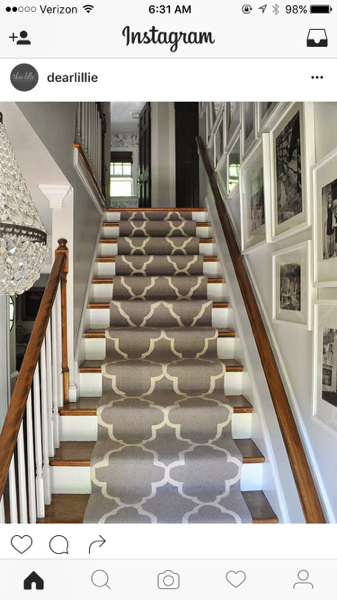 The stair tread rugs still leave the leading edge exposed which provides a place to slip especially with slippers or stocking feet. You must go with the safest option #1. What an awesome response! Thank you!!! I go for option 1 also as it would be somewhat in keeping with the age of the original house. 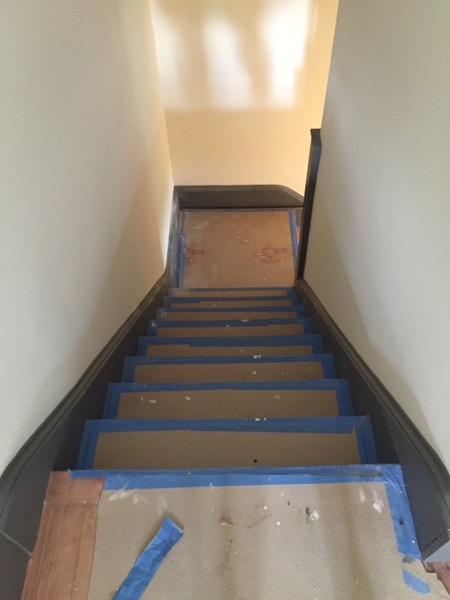 And are you putting up a banister in the upper part of the stairs. Looks kind of scary with nothing to hang on to for those of us with not so great knees. Congrats on all you’ve done. I’m looking forward to a tour when I’m back in Illinois 8/2-9. 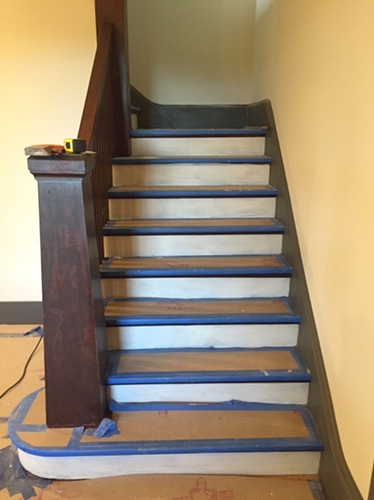 We hadn’t actually talked about a banister for that 2nd flight, but we should. And I can’t wait for you to see it! I gotta go with NOT option 1. I was taught that the integrity of the house is important, and if you have a rug there and no where else I think it would look out of place. Are you sure they will always be slippery? I would think that over time it would be less so. 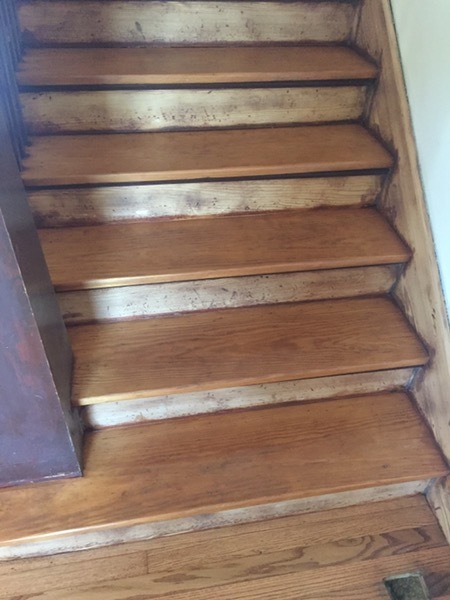 I left my stairs with only the natural wood showing (option3) and we do slip once in a while but haven’t had any big falls. 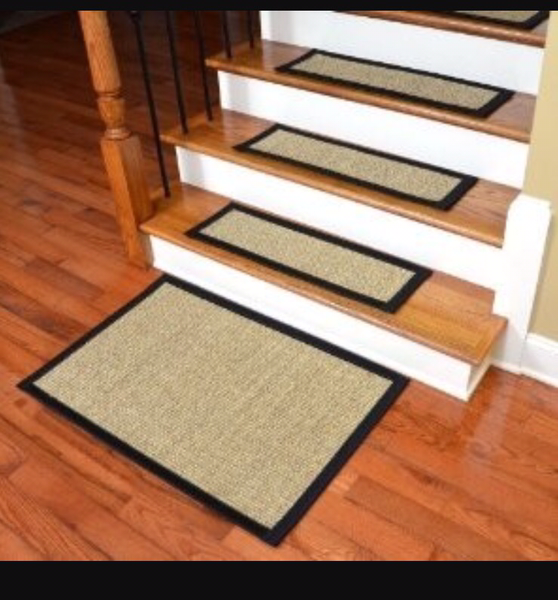 Option 2 isn’t bad because more of the stairs show, and maybe it wouldn’t be as permanent as nailing carpet down? I can’t tell from the picture. I love a minority vote!!! I’m really feeling similarly to you, actually. But I’m just not sure how long it would stay slippery. And you’re right — option 2 is less permanent because nothing is nailed in. But I also think it looks sorta weird. *sigh* decisions decisions! 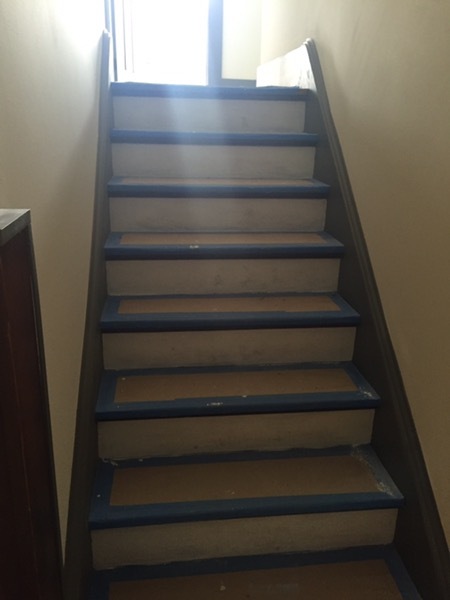 While I agree that option 1 covers the stairs and is a little inconsistent with the look of the rest of the house, I think safety is most important. Maybe you could try the non slip product first….if it doesn’t solve the problem then go with the runner. Mark and I agree that you should either add a non-slip finish or install option 1, a beautiful runner.